Approach shoes are what climbers wear when approaching a crag, but this sort of shoe is becoming more popular as a footwear choice amongst backpackers and hikers, too. After having used the Salewa Wildfire in both it’s GTX and unlined version for hundreds of kilometres the verdict is out. The Salewa Wildfire GTX arrived with me in the end of the winter of 2013, while I picked up the unlined Wildfire version at the OutDoor. Both have been on several trips in the Alps, Germany, Sweden and Finland. Overall I estimate the GTX version have seen around 500 km of use, while the unlined Wildfires have seen a bit more than half of that. Salewa packed a whole lotta featuers into this shoe, which is in their Tech Approach Line, where you also find the Firetail. 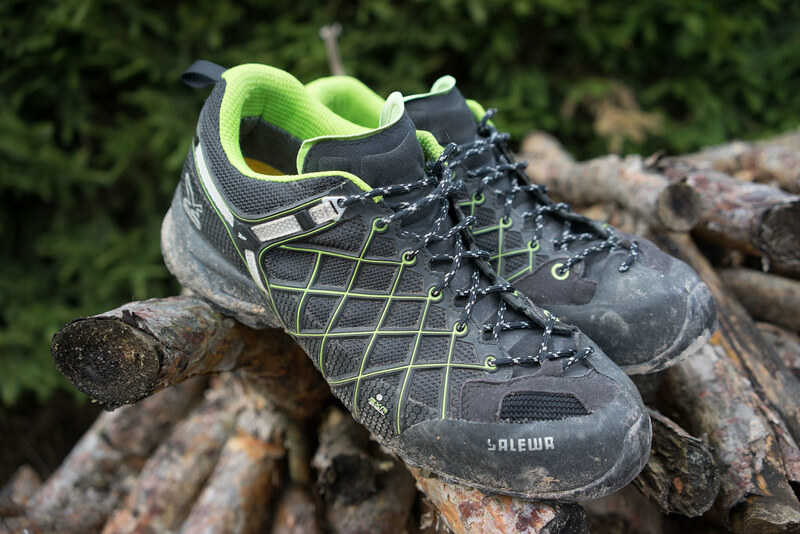 Salewa recommends these shoes for Via Ferrata, Hiking, Mountain inspired urban lifestyle and Approach. Out of the box they fitted me well, and something interesting that was included in the box were two more insoles (for a total of four yellow ones and two black ones). The black part connects via Velcros to the yellow insole. That way you can add more cushioning & volume in the heel and front, to suit your needs. Me, I didn’t see a need for it and have used them with low volume insole they came with. The toe box is reasonably wide, so for people who like that there’s enough space for their toes without them being jammed together, this shoe will be a good choice. Also the heel cup has a good fit, and tightens when you lace up the shoe. 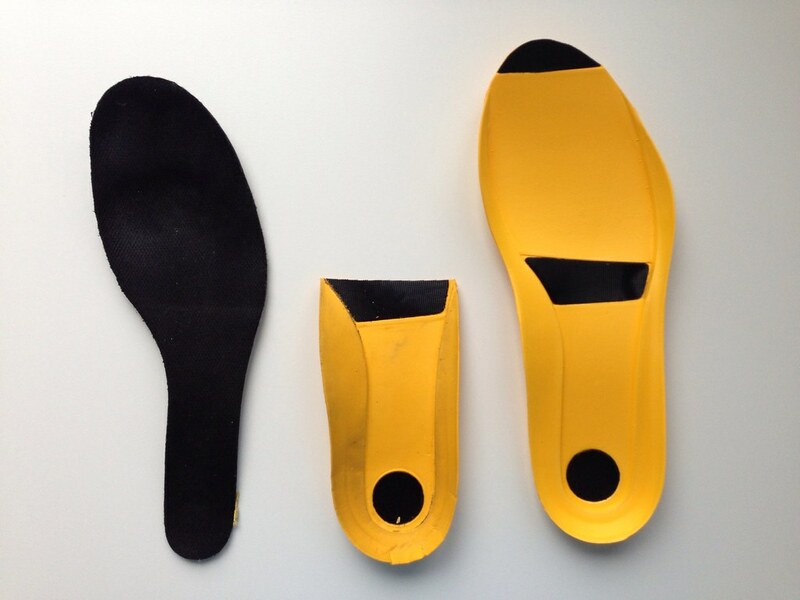 The above mentioned MFF+ Footbed system is a pretty interesting solution which lets the user adapt the shoe’s insole to his need, and you’re thus able to make them fit better. 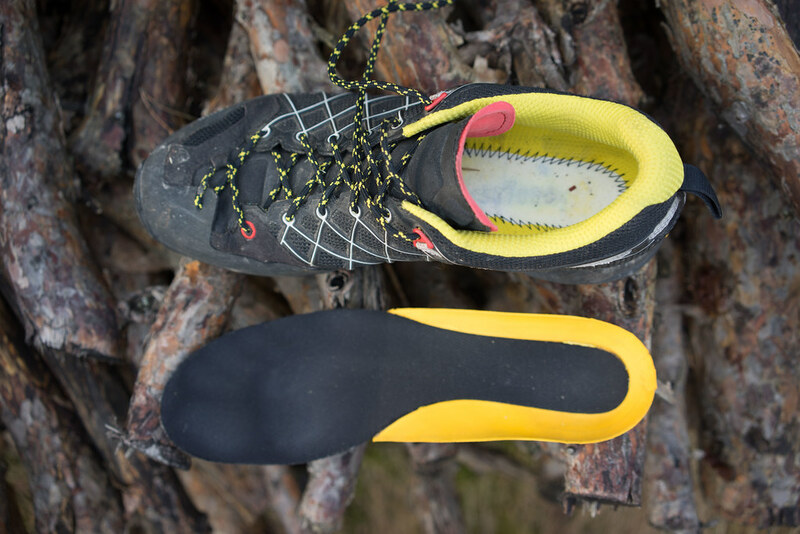 It’s a smart way as in this way Salewa can make one shoe and with the insole you can adopt it to your needs. The Salewa EXA shell technology is basically a plastic grid on top of the mesh, which helps to protect it while still being flexible. It adds protection to the shoe and makes it more durable. The quality is very good. Salewa are an old Italian company with a long tradition in making gear for use in the mountains, and their athletes help develop their gear. I have put these shoes through a lot of walking on asphalt and the Vibram sole still looks almost like new. Also the uppers have been through rock fields, on scrambles and hikes, and have not much to show for it except those splatters of mud which I didn’t want to clean (gives them a more authentic look, ya see!). They’re heavier than shoes I usually wear, but I was curious to see if approach shoes work for me. They do feel heavier, but not too bad. Salewa has a CSR page and their 2013 CSR Report can be read online. The company is member of the Fairwear Foundation and is working on becoming greener, like much of our industry. As for the shoes, the easiest way for you to recycle them is to drop them in a shoe/ garment recycling bin in your town. Alrighty then, the most important part. 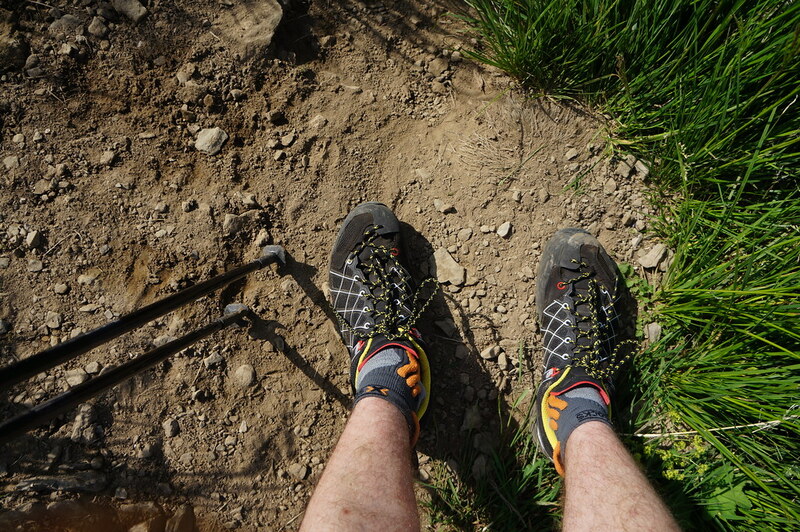 I started wearing the Wildfire GTX in the end of the winter of 2013, and they quickly became a shoe I wore when walking with my son, cycling to work, doing day hikes and walking to the grocery store. The GTX version, as well as the unlined version, are - at least in black - pretty warm shoes, so after a day walking in hot weather expect to have very sweaty feet. I find them in warm weather unbearable hot and will not wear them in temps above 20°C as they’re just too hot for me. For winter they’re very good, as you can wear them with mid-weight socks and still have toasty feet. 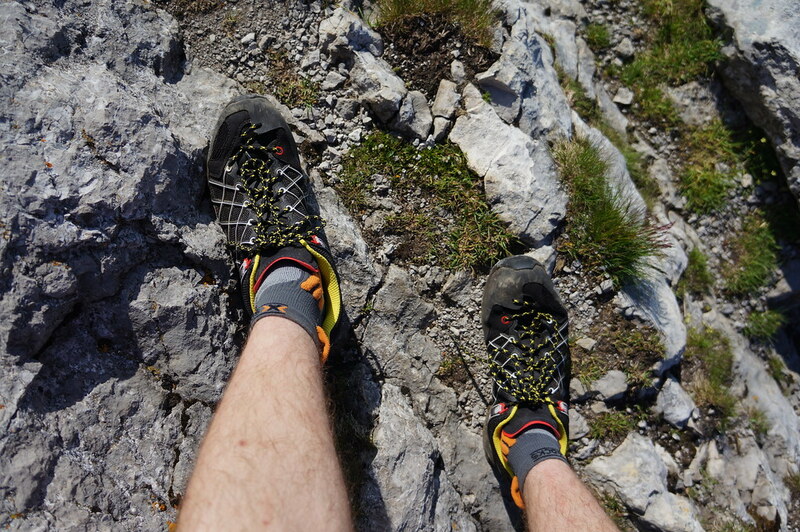 I wore them on my Swiss SUL trip and while they were fine, I more than once wished I would be wearing a shoe with more grip. While the Vibram Tech Approach EVO sole is durable, I don’t find it has as much grip as other soles and as it’s stiff it also does not let you feel the underground very well. 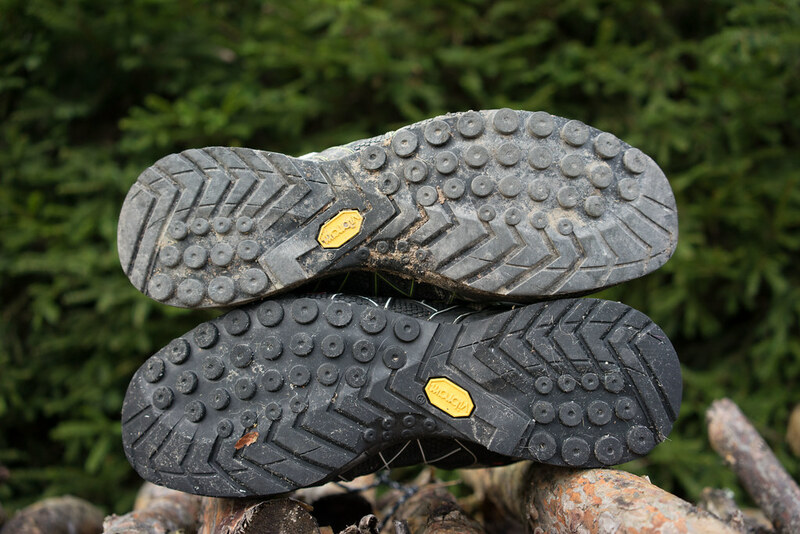 The lugs on the sole are narrow and tight together, which became especially evident when crossing frozen snow fields high up. Where e.g. the Salomon Speedcross 3’s lugs dig into the snow and give you a save grip, the Wildfires were a bit sketchy. Also on gravel and wet surfaces they don’t offer as much grip as competing shoes. On the plus side, the sole is very durable and shows little signs of wear, and because it is so stiff it’s a good shoe to cycle in, too. Speaking of cycling, while the shoes weren’t made for biking, the sole stuck pretty well to the pedals on my bike and the stiff sole was good for power transmission when riding. For walking I would wish that the sole would be more flexible - it barely flexes - which makes a natural stride more difficult (but not impossible). Both versions, but especially the GTX version, are also great on windy days or when you ride fast as you won’t get cold feet. The weight of the shoes is higher than what I’d normally wear, but it’s not too bad. 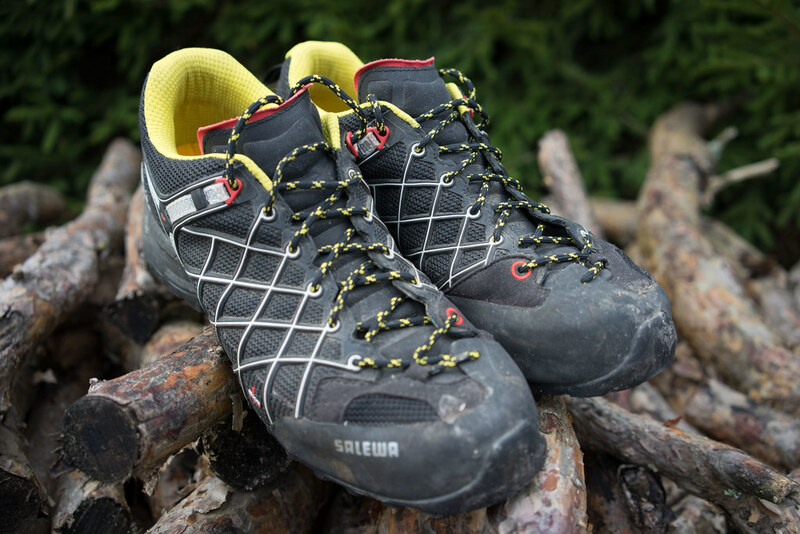 For the increase in weight you get a more durable shoe, though I think Salewa should remove some of the lining to a) make the shoe less warm and b) make it lighter. Especially the GTX version would benefit immensely from that, and I think if the shoes could be pushed down to sub 400 g per shoe they’d very popular amongst hikers that look for a durable shoe. The 3F System Evo technology which is employed in the shoe, which is supposed to support and offer freedom of movement, well it’s in a shoe like this a given. I can see why the technology would be useful in boots, but in low shoes it feels a bit like they’re just slapping another label on top. It helps with a good heel-fit, though, if that’s something you’re looking for in a shoe. Climbing in the shoes is OK. I personally rather slip into my climbing shoes, but for scrambles on hikes, approaching the crag, and easy climbs they’re good. Keep in mind that you won’t have as much control and feeling in them as in a pair of climbing shoes. Finally, the shoes look pretty good and I often wear them to the city with my Outlier pants, which makes for a smart, casual look but you still can go for a scramble if the need arises. 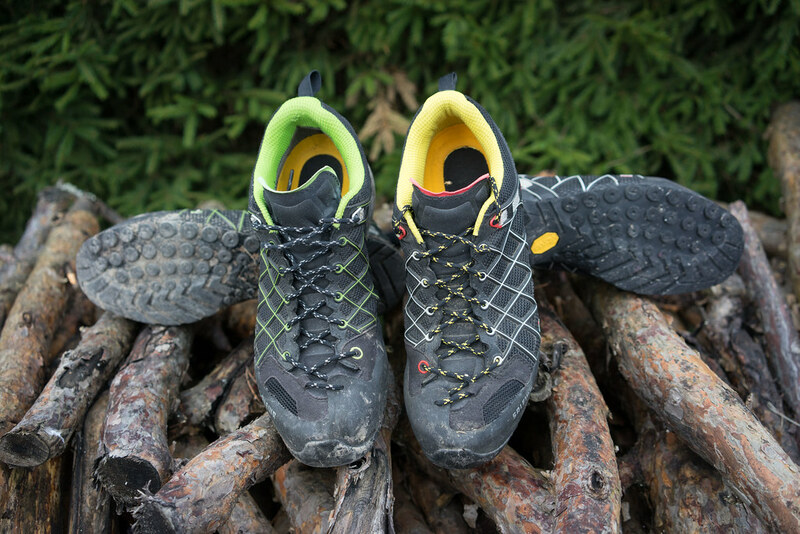 There’s a whole host of approach shoes, for example the Patagonia Rover, Garmont Dragontail LT, Scarpa Zen Pro, La Sportiva Xplorer, The North Face Verto, Five Ten Camp Four, Mammut Needle and Haglöfs Roc Legend GT, amongst plenty more. Keith thinks they could be 1.000 km hiking shoes, Erica gives them 5 Stars and Jeremy finds they blend into his life’s rhythms seamlessly. I have used the Salewa Wildfires pretty much daily since they arrived, and have walked on two outdoor fairs with them. 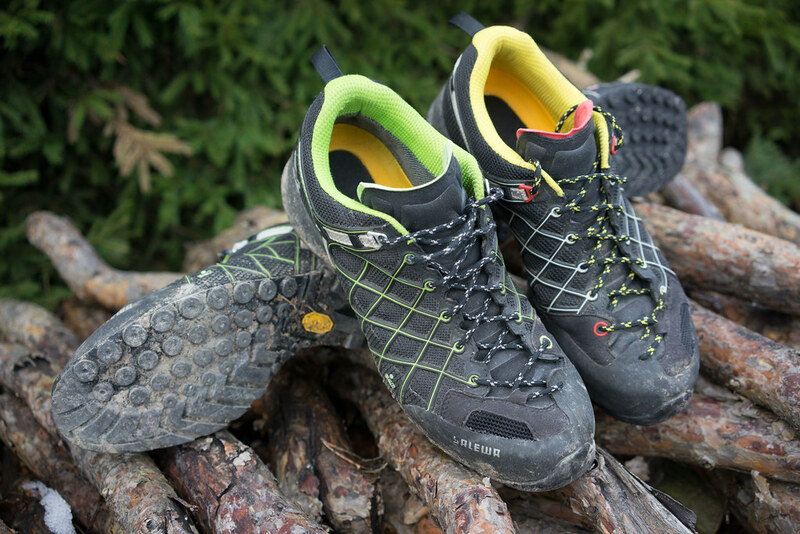 The main reason for that is that walking on my trailrunning shoes in the city eats up their sole at an alarming rate, and to save my wallet the Salewa Wildfire with their very durable Vibram sole are an excellent alternative, and I’m still ready for the trail or a scramble. They work well for hiking and I think for people that are transitioning from boots to lightweight footwear these are prime candidates to try. 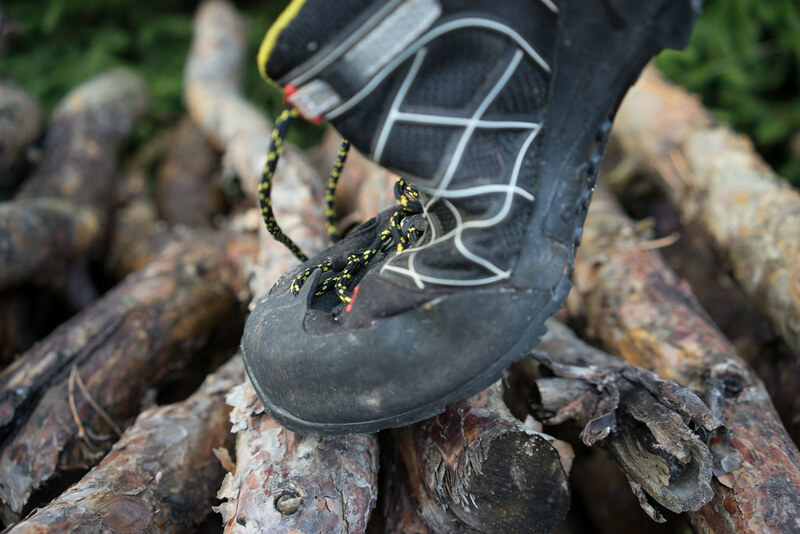 They combine the benefits of boots - durability and a stiff-ish sole - with the benefits of trailrunners: light weight, strengthening the foot muscles and allowing for a more natural movement. 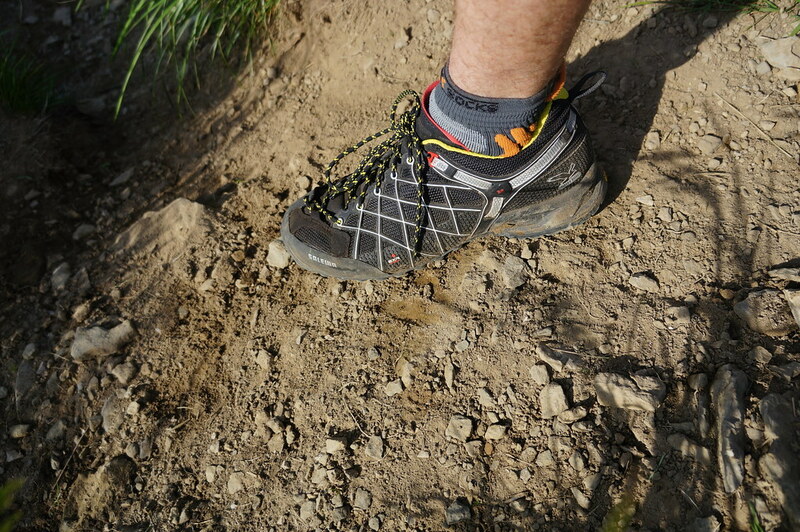 If you’re an ultralight backpacker these might not be the shoes for you, unless you spend a lot of time hiking on rock which naturally eats up rubber pretty fast. Also if you’re on a budget and don’t want to buy more than a pair of shoes a year, these are a good choice for you. On the other hand, if you’re a climber who looks for a new pair of approach shoes, or are a backpacker transitioning to lightweight footwear, then these should be on the top of your list. The are durable, light, look pretty fetching (especially in green!) and work also well in the city.